New Directions Publishing Corporation, 9780811218870, 95pp. Forrest Gander's Core Samples from the World is a magnificent compendium of poetry, photography, and essay (a form of Japanese haibun). Collaborating with three acclaimed photographers, Gander explores tensions between the familiar and foreign. His eloquent new work voices an ethical concern for others, exploring empathic relations in which the world itself is fundamental. 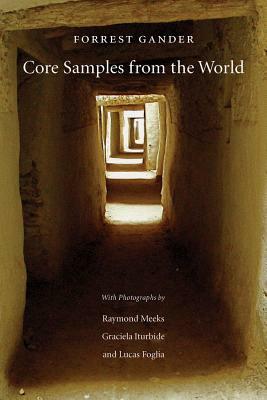 Taking us around the globe to China, Mexico, Bosnia-Herzegovina, and Chile, Core Samples shows how Gander's sharp sense of place has made him the most earthly of our avant-garde, the best geographer of fleshly sites since Olson (Donald Revell, The Colorado Review).